UX Alive is the largest international event on User Experience and Usability, with presentations and workshops from international UX stars who will share their know-how and experiences, and their personal paths to success. 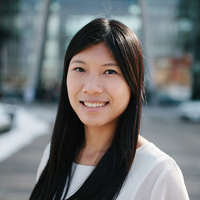 Jenny Shen, a Toptal designer, will give a talk titled Improving user experiences through remote collaboration. This talk provides an insight into Jenny’s habits, tools, and workflows; how to overcome the main issues around doing UX design and user research remotely; and how to ensure a smooth collaboration with team members and deliver projects successfully when working remotely.